New and Used Commodore 64 and Commodore 128 computers, Commodore software, disk drives, monitors, printers, cables, ribbons, games, educational software, graphics, word processing, books, applications, programming tools, modems, public domain and shareware programs, chips and parts etc. Important: Unless otherwise indicated our prices include continental U.S. shipping and handling if your order is $45 or more. Please take this into account when comparing our prices to our competitors who usually charge substantially for shipping and handling. Also, we take great care to test and verify that the used hardware which we sell is in good operational condition. We have been servicing and repairing Commodore computers since 1983. We provide convenience, experience, dependability, reputation, reliability, consistency, and support. Please don't compare us to on-line auctions and other places who don't provide quality control or any guarantee. We have been selling and supporting Commodore products for over 24 years. We have had thousands of very satisfied customers. We must be doing something right! Surprise game with $60 order. Must request with order. OR free new 3 ft. 9 pin male to 9 pin female cable. 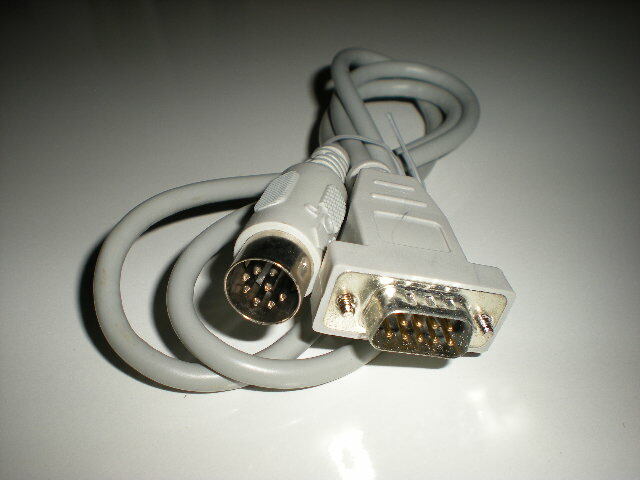 (This cable can be used for connecting some RGB monitors to the Commodore 128 or for an IBM compatible AT comm port cable or possibly as a joystick extension cable for Commodore computers. 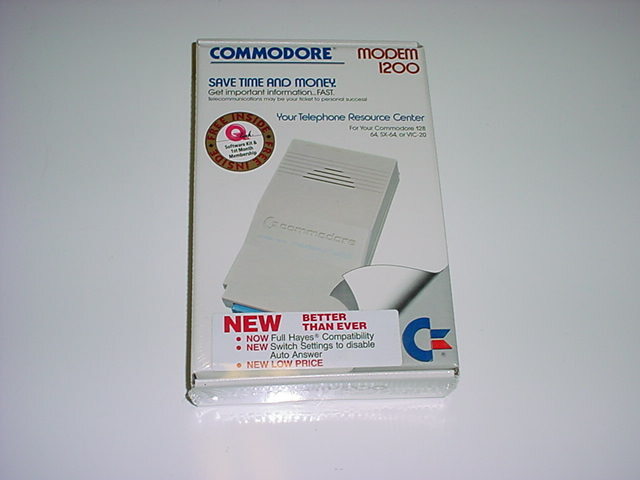 However, it is not a great fit for the Commodore game port). Note: Before ordering Commodore hardware from us please read our "Tips for Protecting your Commodore Equipment and Keeping our Warranty to you from Being Voided"
Newer version of Commodore 64. 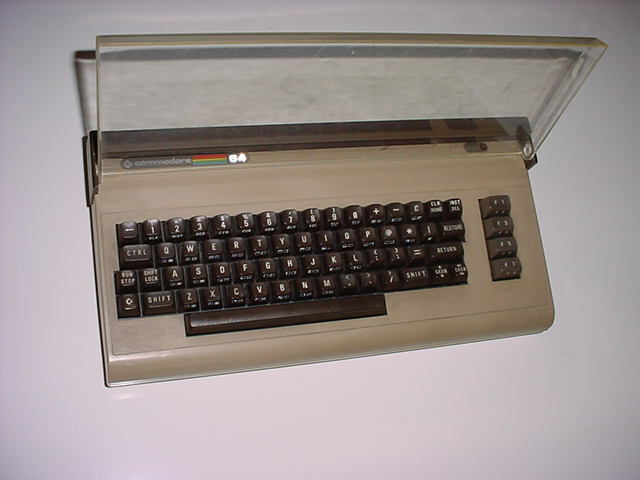 Functionally identical to the original Commodore 64 except newer design and appearance. Uses all regular Commodore accessories and peripherals. Power supply included. 30 day guarantee. This 64c computer uses the larger 64c board and cannot easily facilitate the smaller replacement board mentioned below. Television and video cables available seperately below. call or email for price and availability. 1541-II & 1581 power supply Power supply for Commodore 1541-II disk drive. Also works on 1581 (3.5" disk drive). Has round 4 pin DIN connector. 30 day guar. New or Like-New. Tested. $29 ea. 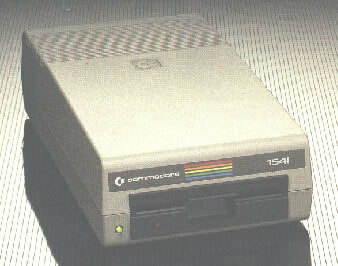 1571 user's manual Original 1571 disk drive user's manual. Used. $12 ea. The following Commodore power supplies are used. We have tested them briefly and provide our standard guarantee for them. However, we assume no liability in the unlikely event that subsequent damage to your computer occurs (whether caused by a malfunction of the power supply or not). We recommend closely watching your computer during the first 35 to 45 minutes after switching power supplies. Turn off the computer immediately if abnormal symptoms occur. RAMLink by CMD Used RAMLink. Appears to be in good condition. Untested but probably ok. No power supply, cables, software or manual included. Has RAM port, pass-thru port, two toggle switches, 3 buttons and several lights. Has round DIN parallel output on back. Has 4 memory modules installed. Uncertain capacity. 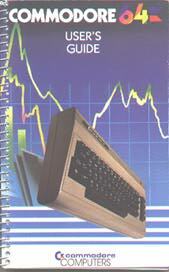 User guide for original style c64. Used. $12 ea. Commodore 64c user's guide User guide for the 64c newer style Commodore 64. Used. Fairly extensive. $19 ea. 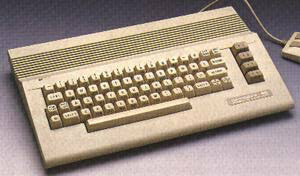 Commodore 64c Introductory Guide Concise guide for the 64c newer style Commodore 64. Used. $9 ea. 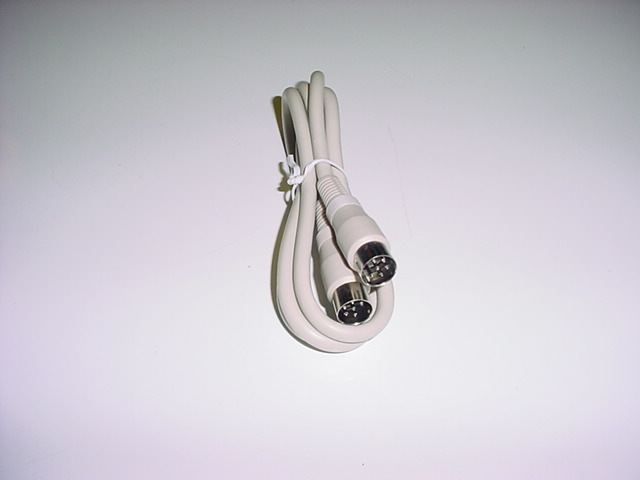 3' Commodore serial cables for Commodore drives & Printers. Might be used. These cables are white. 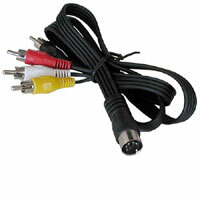 We also have some used black cables for the same price. If you prefer a used black cable please specify this when ordering. Otherwise we will ship a white cable. $14 ea. 9' Patch Cord 9' Stereo Patch cord (has two RCA male connectors on each end). $5 ea. 40 inch patch cord 40" Stereo Patch cords (has two RCA male connectors on each end). $3 ea. 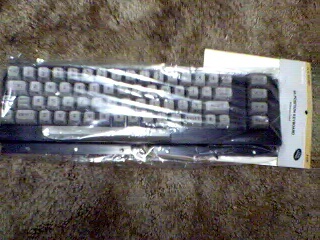 Used Color Monitors (composite type) (uses cable below) Assorted models for use with Commodore 64, CDTV, VCR, Apple 2, Atari, Memorex VIS, CD32, and several of the game machines on the market. Brand names include Roland, BMC & others. Price includes shipping within continental U.S. starting at $129. Call or email. Memorex VIS CD video/audio stand alone CD-Rom system with 20 free titles. Vic 1541 user's manual Original user's manual for Vic 1541 disk drive. Used. Essentially similar to regular 1541 manual except older. $9 ea. Commodore 1525 printer Very old used model. In nice condition. Tested. Price includes cable but no ribbon. This is a slow and noisey printer but has good compatibility. Collector's item. Ribbons are getting difficult to find and pricey but may be available below. Cable included. Other Printers Other used Commodore compatible printers requiring a parallel interface are listed here. Used Trackball Used Commodore and Atari compatible trak ball controllers: Atari brand $22 untested (AS IS) or $37 tested (with 30 day guarantee). Wico brand trakball $21 untested (AS IS) or $36 tested (with 30 day guarantee). Accuball Brand Track Ball $20 untested (AS IS) or $35 tested (with 30 day guarantee). Covox Voice Master (used) Incredible device! 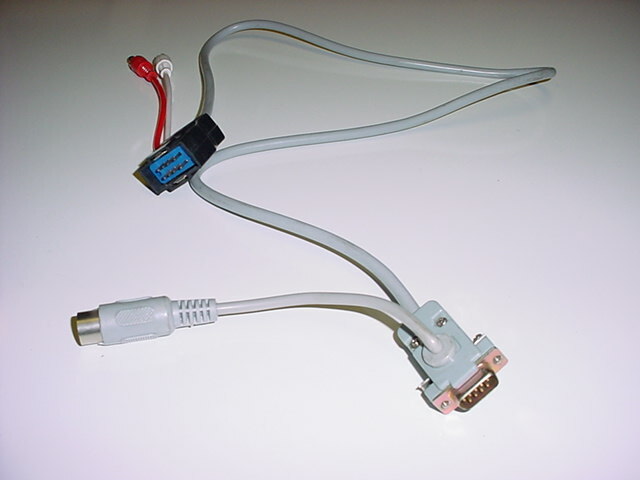 Allows you to plug a microphone into your Commodore 64 and 128 via the user port. No software or documentation included. Sold. Sold. Select used Commodore single disk games Click here to view a list of used Commodore 64 game singles. Select used Commodore single miscellaneous disks Click here to view a list of used miscellaneous Commodore program disk singles and miscellaneous Commodore 64 and 128 items. 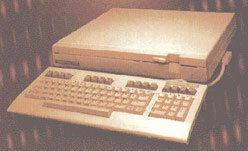 "as is" parallel printer interfaces Used parallel printer interfaces for Commodore sold on an "as is" basis. These are untested. $10 ea. 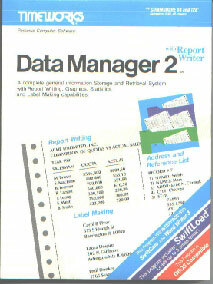 128 Timeworks Word Writer 128, Swift Calc 128, Data Manager 128 and Sylvia Porter Financial Planner 128 from Timeworks. Used. Manuals included. $34 ea. Tips for Loading Programs on the Commodore 64 & 128. Online tips and secrets for successfully loading programs on the Commodore 64 and 128. Free! Tips to protect your Commodore Online tips for Protecting your Commodore Computer Equipment, Increasing its Life Expectancy and Keeping our Warranty to you from Being Voided Free! Click Here Now! 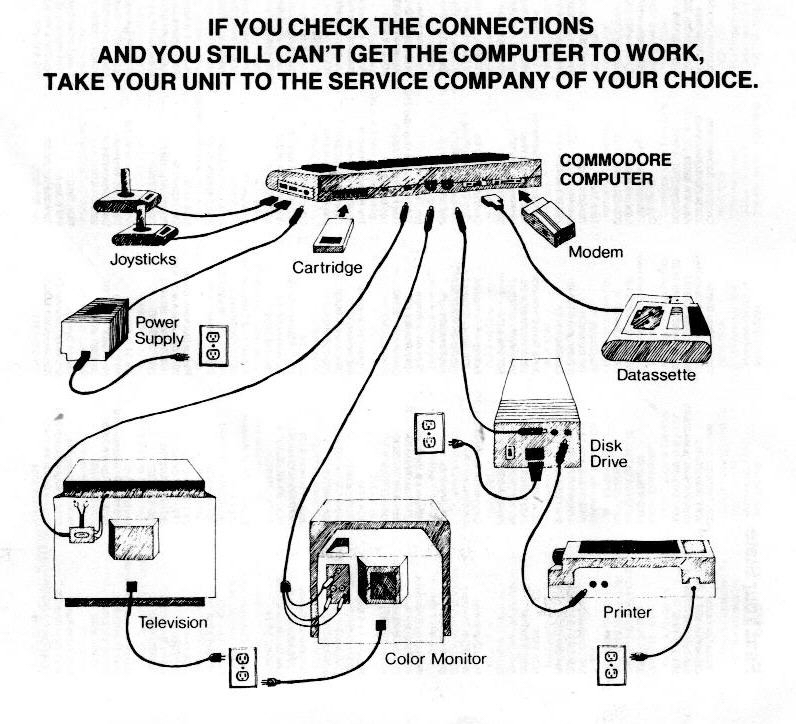 View connecting diagram for Commodore 64 Click here to see a connecting diagram for how to connect a Commodore 64 computer. Free! Click Here Now! 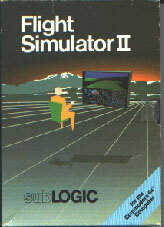 Abacus Software for Commodore 64 and 128 Misc. new and used titles. Many to choose from including: Programming languages, compilers, charting, spreadsheet, expert system, stock market, computer aided drafting and design, etc. Click here for available titles, descriptions and prices. TV gameshow games Wheel of Fortune 1,2, or 3. Jeopardy 1 or 2. $14 ea. More Commodore Games and Programs Click here to see much more software for Commodore 64. Many more Commodore 64 games and Programs!!! Rare and collectable Commodore 64 game cartridges Rare and collectable used Commodore 64 cartridges. Click here for details. Please specify which game you want. $17 ea. Used PrintShop for Commodore 64 Used Print Shop (Broderbund). Print Greeting cards, signs, banners, posters, etc. Add $5 for used manual. $19 ea. 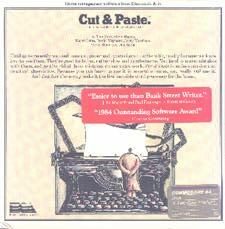 Used PrintShop Companion for Commodore 64 Used Print Shop companion. Expand the capabilities of the Print Shop. Add $5 for used manual. $18 ea. Thinking Cap (Broderbund) The ultimate outline processor for Commodore. A great tool for organizing ideas, brainstorming and overcoming writers block. 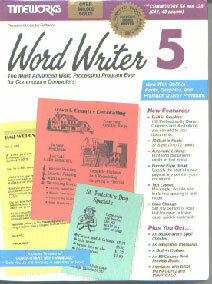 This is a program that is more than a word processor. It is almost an idea processor! Used. $27 ea. Infocom Games (text adventures) Zork 1 (email for availability), Zork 2 (email for availability), or Zork 3 ($17), Deadline ($27 imperfect packages), Suspended ($22), Suspect (sold out), or Cutthroats (sold out). 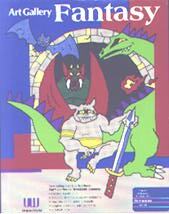 More Commodore Games and Programs Click here to see many more Commodore 64 games and Programs!!! 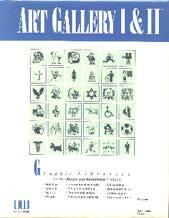 Cartridge games & Utilities Music Composer (Commodore) $8, Kickman (Bally/Midway/Commodore) $8. Please specify which of these cartridges you want. .
Cartridge games which require paddles SuperSmash (Commodore), Clowns (Commodore). Please specify which one(s) you want. 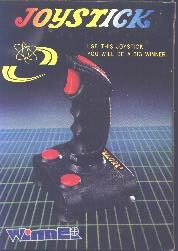 These game cartridges require the turning knob-like paddles and will not work with a regular joystick or keyboard. $9 ea. Disk binders (new overruns) With plastic insert pages. Blue vinyl cover with a software manufacturer's name written on them. Each binder holds 18 disks. $4.90 ea. used 5.25" disk case Used plastic disk case in good condition with flip up top holds approximately 50 5.25" disks. $22 ea. Compute! Gazette disks NEW! NEVER OPENED! 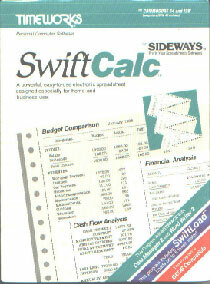 Most issues available from March 1986 to April 1987. 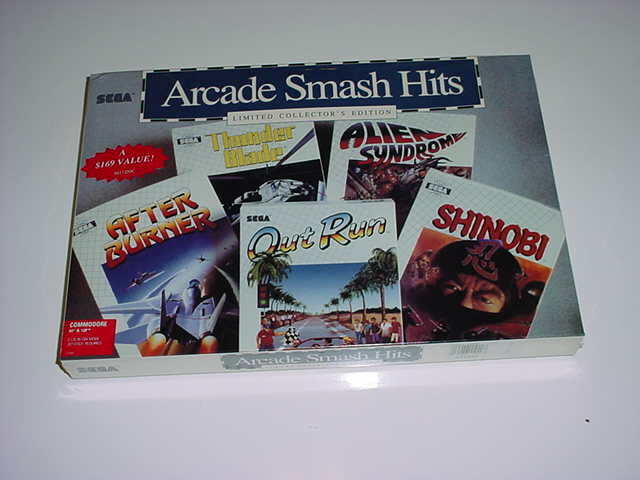 Each disk contains games, utilities and/or educational programs, etc. $12 ea. Commodore 1526 printer ribbons Also fits Commodore 802 (MPS-802) printer, Commodore 4023, QTE-80, BMC BX-80, Computermate CP-80, Tally Spirit 80 and ADMATE DP-80. Also apparently compatible with Legend 808 and Atari XMM801 printers and the Headman 1600 check protector. $17 ea. Commodore 801 ribbons Commodore MPS-801 printer ribbon. Also fits the Comrex CR220 printer and the Atari 1029 printer. $15 ea. Commodore 803 ribbons Commodore MPS-803 printer ribbon. 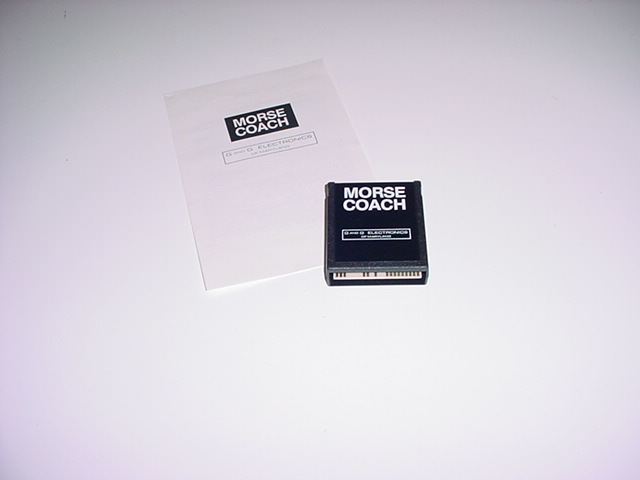 Also fits Brother M1009 and M1224 printers. $14 ea. Commodore 1525 ribbons Commodore VIC-1525 printer ribbon. Also fits Gorilla Banana printer and Radio Shack LPVII (LP-VII). You must send in 1 old used unbroken 1525 ribbon to be reloaded (for each one you wish to buy) before ordering this item. Read this important information before ordering! $52 ea. You must send in an old 1525 ribbon to be reloaded before ordering this item. Commodore 1515 ribbon Printer ribbon for the Commodore Vic-1515 printer. Very rare. $28 ea. MPS-1200/1250 black ribbon Commodore MPS-1200 ribbon. Also fits Commodore MPS-1250 and Citizen 120D/140 $9 ea. Okimate printer ribbons For Okimate 20 or 10. Color Okimate Ribbon $9 ea. Spool Ribbons Ribbon for Star SG10, SG10c, SL10, and similar printers. May be very old but have never been opened. $8 ea. other ribbons Click here to see big list of other brands of printer ribbons. Many other ribbons available for various older printers. blank disks for Commodore computers New boxes of 5.25" DSDD and 3.5" floppy disks still available for Commodore disk drives! Click here for prices and more information. .
Click here to see huge list of Commodore and Amiga chips! Click this link to see prices for 6510 CPU, 901225 (character), 901226 (BASIC), 901227 (kernal) and 6567 R8 newer video chips and many more! Huge list of Commodore and Amiga chips. Click here! 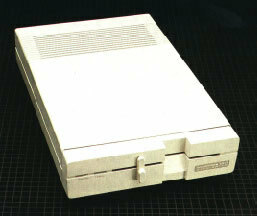 PLA chip Frequently needed chip when no picture appears on the Commodore 64 computer. Used Commodore 64 logic array chips: Also known as 906114, 906114-01, 82S100, 82S100N or N82S100N. Please specify one of the preceeding part numbers (if you have a preference). (We will ship you the closest match which we have.) New or like-new (untested) just $30 ea. for 1 to 4 pieces. 5 to 9 pieces just $29 ea. 4164 ram chip for Commodore 64 New. 16 pin ram chips for Commodore 64 computers. If you don't get a picture on your Commodore 64 and your ram chips get very hot they have probably been blown out by a flakey power supply. 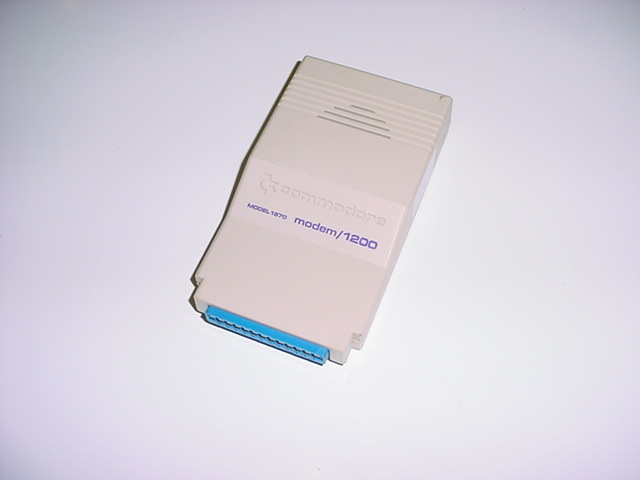 The ram chips on a Commodore 64 are usually not in sockets and it is very challenging for a novice to successfully desolder a bad ram chip to remove it and install a socket (available below). $6 ea. 16 pin chip socket New. Required for 4164 ram chip replacement on Commodore 64. $3 ea. 41464 ram chip for Commodore 64c 18 pin ram chip for most Commodore 64C models. call or email for availability and price. 18 pin chip socket New. Required for 41464 ram chip replacement on Commodore 64C computer. $3.50 ea.